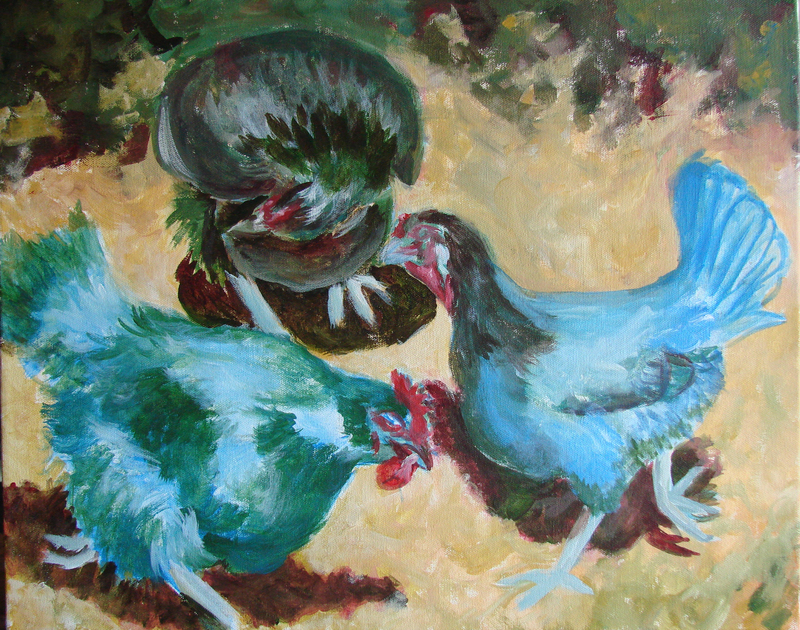 Blue and Green Chickens. Really. I began another painting Sunday evening. A family in the neighborhood sells fresh eggs, and they were kind enough to let me take photographs of the chickens. I had been thinking about this painting for a while, and all I needed were photos of the birds. This is the first step in the process. As always, I begin the under-painting with a complementary color. I’ll post updates as this painting progresses. Oh, the eggs were wonderful! Stay tuned. 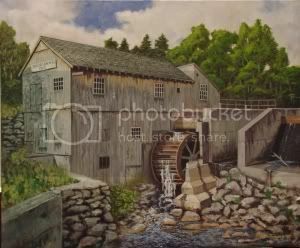 This entry was posted in Paintings and tagged Chicken, eggs, Painting. Bookmark the permalink.